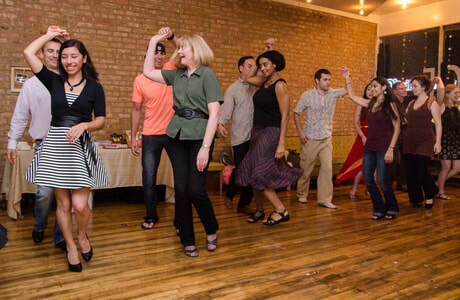 ​​Our Cuban Salsa courses are created in a progressive way to facilitate your learning and to make sure we do not leave any gaps between levels. We start with a Preliminary 2 weeks course where Men and Women learn individually the very important fundamentals (i.e. musicality, body balance, transitions between steps and more). At the end of these 2 weeks you can move to the next level to start learning partnerwork. And you can progress as detailed below. We aim at carrying forward the same group of students all the way from the Preliminary Beginner Level up to the Advanced Level. We will be teaching one level at a time so that it's easier for you to focus on developing your dance skill than it would be if you were in a crowded and noisy club. And it's easier for us to correct you as necessary. Our promise to you is that we won't rush through the steps. And we are there to encourage and support you in a very friendly and fun way!. ​​Important note 1: The aim of our courses is finalized to create consistent, confident and happy social dancers and we strongly believe that this result can only be achieved by committing to the all series of courses starting from the Preliminary to the Advanced Level. We do care about helping our students to achieve results. ​And we are committed to deliver them. Therefore we will not be able to allow Drop-ins as it would not be beneficial for neither the occasional student nor us. Important note 2: Salsa dancing is a physical activity and it is your responsibility to check with your doctor if you are fit to practice it.